It's a humongous time saver! 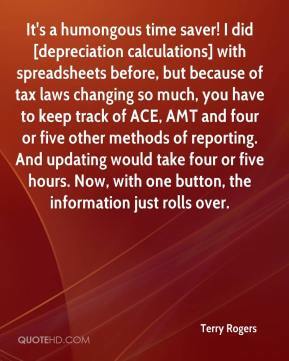 I did [depreciation calculations] with spreadsheets before, but because of tax laws changing so much, you have to keep track of ACE, AMT and four or five other methods of reporting. And updating would take four or five hours. Now, with one button, the information just rolls over. To let go is not to deny but to accept. 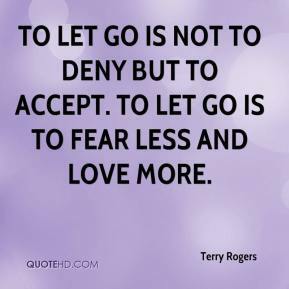 To let go is to fear less and love more.